The year was 1942. The Italian navy charged Ilvo Fontana with the difficult task of building a new type of watch that would satisfy the technical and mechanical qualifications for Navy watches where the proper calculations could mean the difference between life and death. Fast forward to the year 2000. Ilvo’s grandson, Italo Fontana, happened upon his grandfather’s work and has spent the last twelve years crafting a living legacy out the prototypes. The result? U-Boat watches. 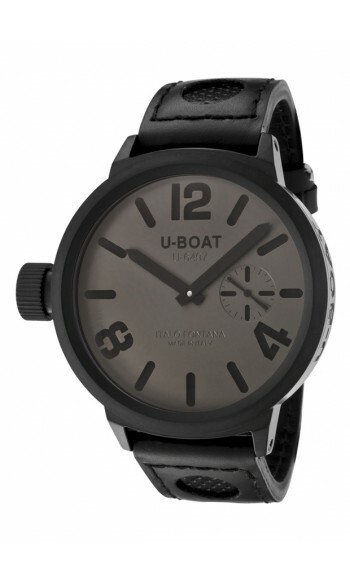 Characterized by their easy readability in low light and their bold design, U-Boat watches are as unique and layered as the men who have designed the line. Character and strength is the motto behind the watches, and each collection embodies their bold thinking behind the brand. Back in 1942, the original idea behind the watches was to make the watches easy to read, but difficult to destroy. Each collection reinterprets its heritage a bit differently. 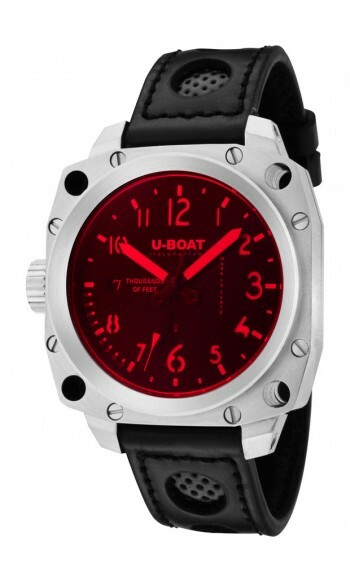 The Automatic Men’s Watch U-Boat-1682-1 uses a tinted red dial window to add a whole different feel the piece, making the watch look like a radar in the U-Boats of times gone by. Though a fun color choice in a unique location, the watch is still very easy to read. It is this clever reimagination of the watch brand that keeps U-boat watches ahead of the competition. Another interesting timepiece from the brand is the muter Flightdeck 50MB U-Boat.5324. The simple color scheme should be boring, but the unusual placement of the numbers along with the bold numerals and unusual placement of the seconds dial—set much closer to the edge of the watch than usual, adds a subtle, yet original appeal to the watch. Perhaps the contrast coloring and red dial windows are not your cup of tea: well, the U-Boat Flightdeck 7750 50 Chronograph combines all the toughness of a WWII U-boat with a modern sense of style. The watch is made of titanium, making it nigh indestructible. The black numbers on the black dial should be difficult to read, and yet the different textures of the indices make it easy to read. 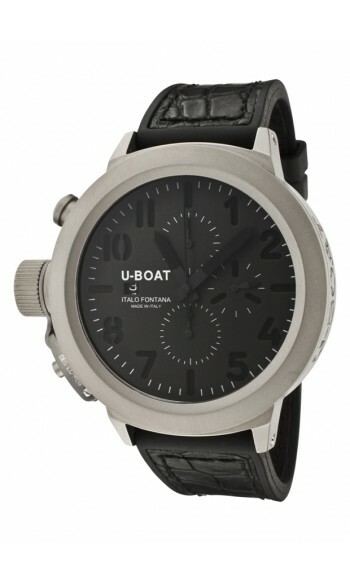 It’s just another thoughtful twist on traditional design that makes U-Boat watches stand out. If you’re looking for a watch that will last for generations, then isn’t it logical to buy from a brand that has been passed down for generations? 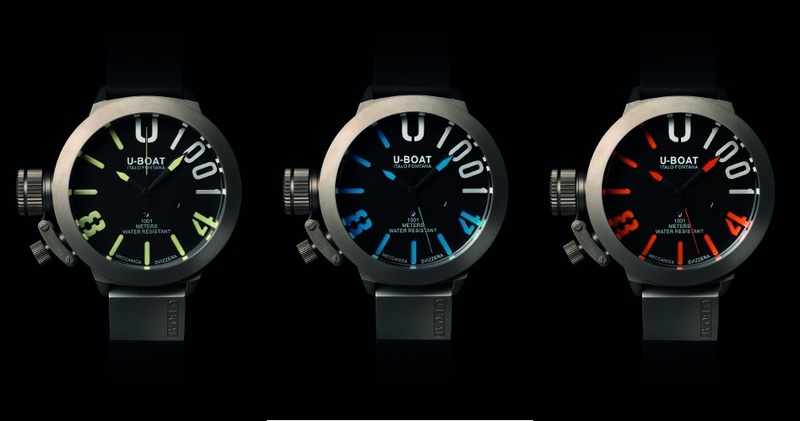 The dedication of Ilvo and Italo Fontana has brought the U-Boat line into the future while still maintaining an understanding and appreciation of the work of previous generations.